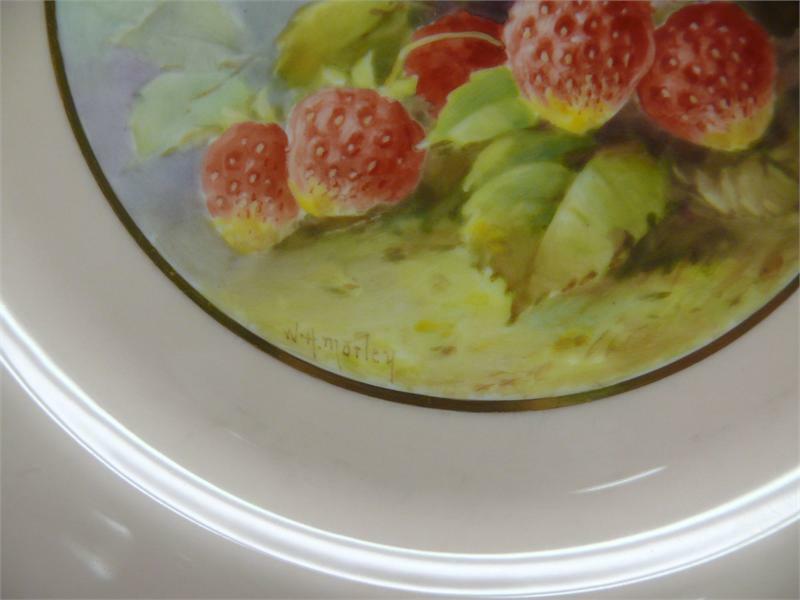 This is a pretty set of 12 hand-painted fruit plates plates made by Lenox for retail at Tiffany & Co. Each is signed by Lenox's famed artist, W. H. Morley. 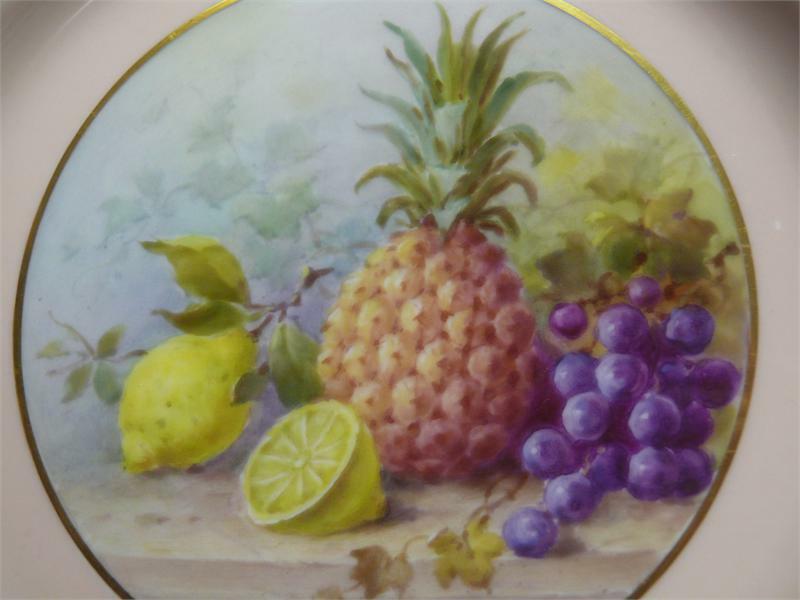 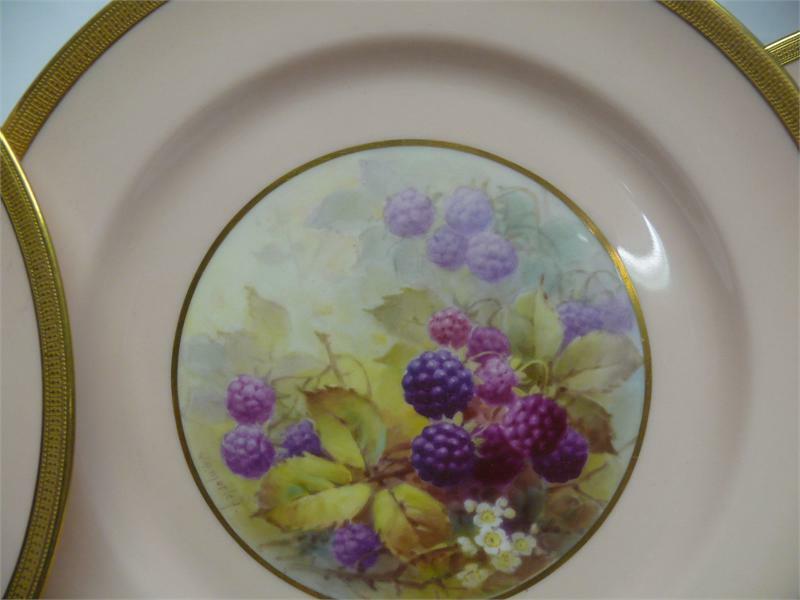 Each plate measures 8 3/4", has a soft-pink shoulder, decorated gold trim, and a different fruit design in the center. 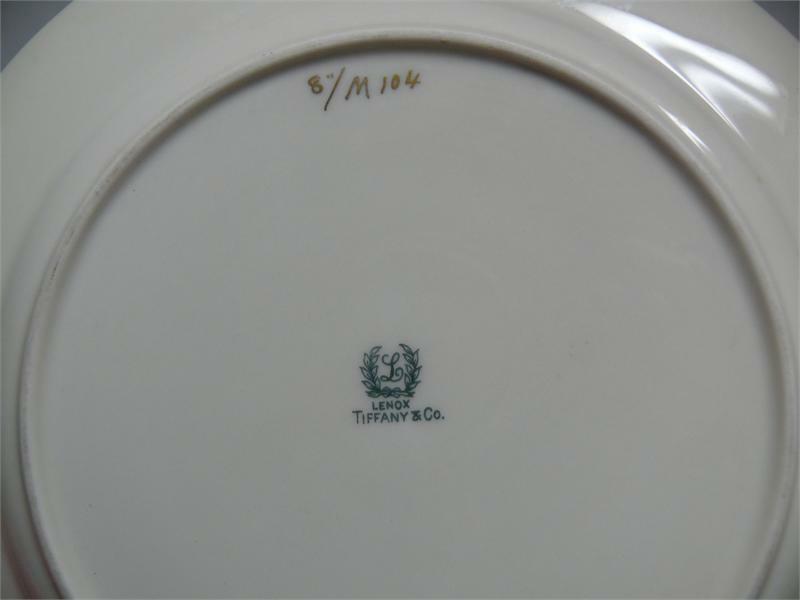 The pattern number is 8/M 104. 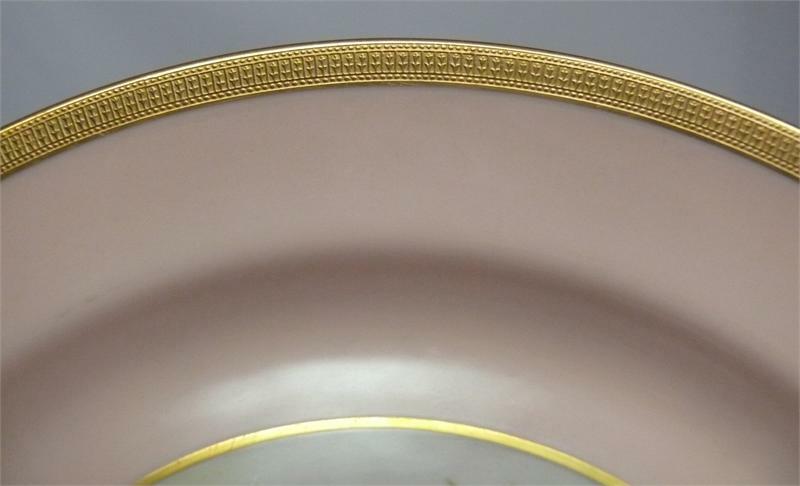 To see larger pictures, click on the main image (a separate window will pop up). 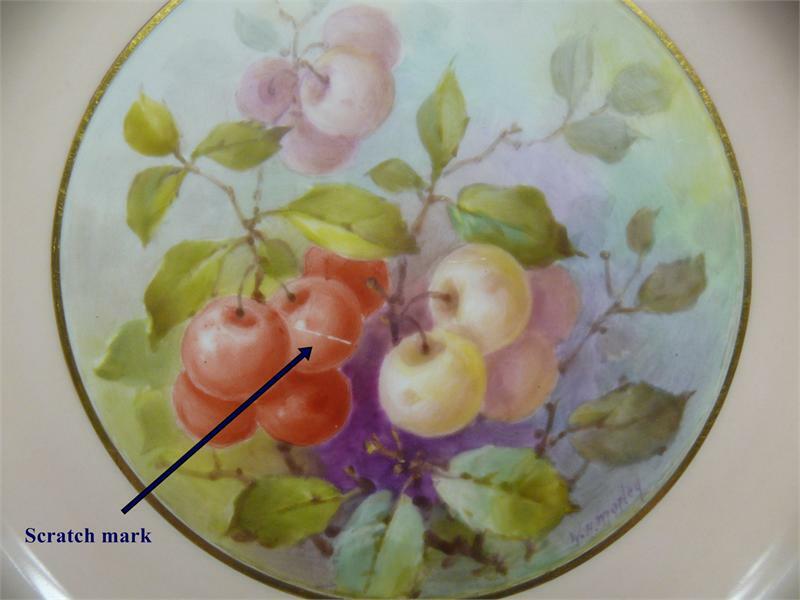 Please note that one plate has a visible scratch, which is shown in a close-up picture.